Battery powered beach wheelchair with flotation tires. 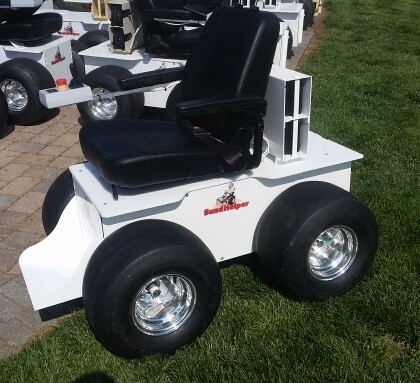 Battery powered (48 volts) beach wheelchair with large flotation tires. Easy on/off with movable arm rests and removable footrest. Emergency stop button located at control joystick. Up to 4 mph. Weight capacity is 350 lbs. Removable key for security.